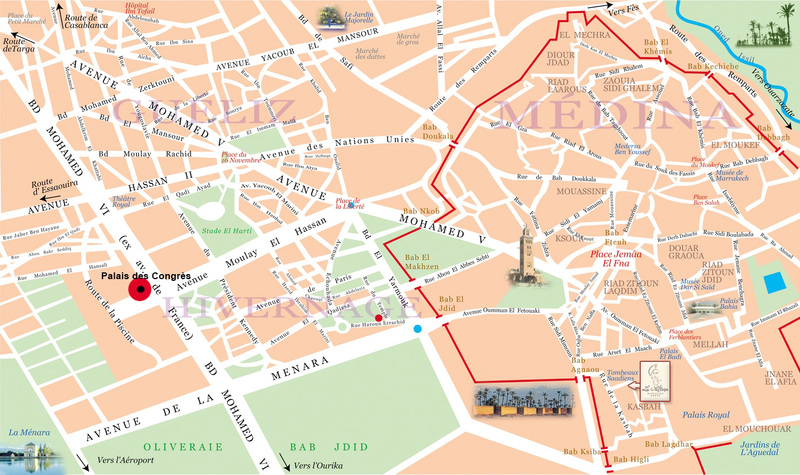 Marrakech is one of the larger and more prominent cities in Morocco, along with Rabat (the capital) and Casablanca. Arabic is the official language of the country, although the Berber language, Darija, French, and Spanish are also widely spoken. In the month of January, Marrakech averages a daily high of 64°F (18°C). Marrakech brings the most outlandish travelers' tales to life. The city is well known for the Jemaa Al Fna square, its snake charmers, magic potions, glorious cuisine and hidden palaces. But it now carries an international brand of magic resulting from the spectacular ryads, courtyard guesthouses renovated by international designers. Due to its geographical position in the middle of the desert but surrounded by snow cap mountains and with its cultural diversity, mixing African, Berber and Arabic, Marrakech remains a place of fascination. 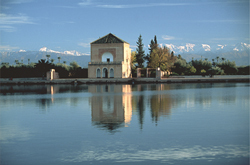 Marrakech is not only an enchanting city but also an ideal region for enjoying the perfect nature experience. You could take an excursion into the Ourika region for instance. This very well preserved, lush green plain provides a sublime landscape with its chequered panorama of crops. Its walks, interspersed with the occasional swim, are truly delightful. Forty kilometers from Marrakech, Lake Lalla Takerkoust provides an initial refreshing pause. A little further, 150km from the ochre city, the Ouzoud waterfalls, the most famous falls in Morocco, tumble down from their impressive 110m height. Access from the city is via charming signposted shortcuts bordered by olive trees. These trips are broken by pleasant and typical stop-offs such as the valley of Asni, a small village, with a beautiful red kasbah overlooking sumptuous gorges, awaits you. Closer to the city, set off with your family to the Terre d’Amanar. This five-hectare preserved estate, bordering the Mont Toubkal nature reserve, is at an altitude of 1200m. You can stroll between the trees and children can even choose to ride a donkey. There is plenty to occupy the more adventurous: the high ropes course, with its fantastic zip-lines over canyons, is unforgettable.